Of all the new sleeping pills, Sonata stays active in the body for the shortest amount of time. That means you can try to fall asleep on your own. Then, if you're still staring at the clock at 2 a.m., you can take it without feeling drowsy in the morning. However, if you tend to wake during the night, this might not be the best choice for you. Sonata is a sedative, also called a hypnotic. It affects chemicals in your brain that may become unbalanced and cause sleep problems (insomnia). Sonata is used to treat insomnia. This medication causes relaxation to help you fall asleep and stay asleep. 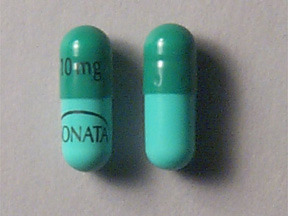 Sonata is used to treat short-term difficulty in falling asleep. Sonata has been shown to decrease the time to sleep onset for up to 30 days in clinical studies. Sonata has not been shown to increase your total sleep time or decrease the number of times you wake up after falling asleep. Sonata is a hypnotic medication prescribed to treat patients with insomnia. Sonata works by making patients drowsy and less alert, helping them fall asleep and stay asleep.